Pletcher was groomed for the success he has found since opening his own stable with seven horses in 1995. The son of trainer Jake Pletcher, he graduated from the University of Arizona Race Track Industry Program with a degree in Animal Science. While a student, he spent his summers working for prominent trainers Henry Moreno, Charlie Whittingham and D. Wayne Lukas. Two weeks after graduating, he went to work for Lukas, where he spent seven years before going out on his own. 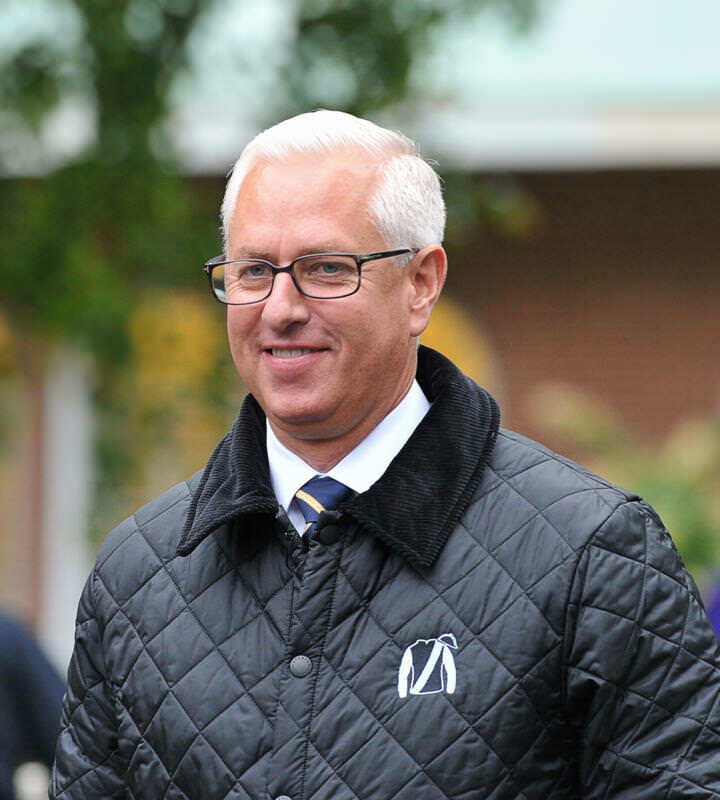 Within a few years, Pletcher had emerged as one of the world’s foremost trainers. He oversees a vast operation of some 200 horses with divisions at the nation’s leading tracks. In 2013, Pletcher was represented by five colts in the Kentucky Derby, easily the most of any trainer to run a horse in the race. He also sent five fillies to the Kentucky Oaks, nearly half the field. After letting his fleet sit out the Preakness, Pletcher saddled five horses for the Belmont Stakes including the only filly in the field, Unlimited Budget. The move proved to be a wise one as he ended up in the Belmont winner’s circle with Palace Malice. In 2014, Pletcher continued his dominance in the sport by leading all trainers by purse earnings, graded stakes wins and stakes wins, securing his record seventh career Eclipse Award as outstanding trainer. In 2015 Pletcher trained Eclipse Award finalists and Breeders’ Cup winners Liam’s Map and Stopchargingmaria and again led all trainers by earnings. During spring 2017, Pletcher assembled a formidable roster of Kentucky Derby candidates, as he adroitly placed his horses in key Derby preps at different tracks and then watched them accumulate qualifying points with wins or runner-up finishes. By April, he had a half-dozen live contenders for the Kentucky Derby lined up, topped by Xpressbet Florida Derby winner Always Dreaming, Lambholm South Tampa Bay Derby winner Tapwrit, and Rebel Stakes winner Malagacy. He ended up running three horses in the Kentucky Derby, with Always Dreaming becoming his second career Derby winner. Although Always Dreaming came up short in the Preakness, Tapwrit gave him a 2017 Triple Crown double with a victory in the Belmont Stakes Presented by NYRA Bets. Tapwrit’s win was Pletcher’s third in the Belmont Stakes.